During the events of Tom Clancy’s Ghost Recon Wildlands, the Ghosts arrive in Bolivia undercover, without official support from the US government. In the eyes of the world, they do not exist. However, the Ghosts are highly trained in covert ops, capable of operating in extremely hostile environments. They analyze their surroundings and act in concert looting weapons, mods, resources, and intel to become a lethal army of four. As highly trained professionals, the Ghosts are capable of facing the most dangerous threats with efficiency, but some of the most protected enemy camps and fortresses will be a great challenge without some serious firepower and tech to back them up. 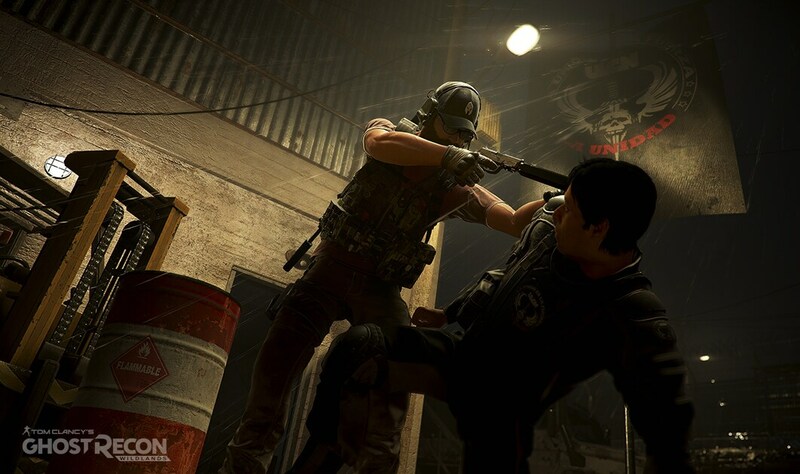 The Santa Blanca Cartel and the Unidad forces protect their most vital points with impressive warfare tools such as anti-aircraft missiles, drone jammers, heavily armored guards, mini-gun outposts, and concrete walls, so facing them with no preparation wouldn’t be wise. To achieve the means needed to level the field, the skill system in Tom Clancy’s Ghost Recon Wildlands is oriented to give players additional tools and abilities to make your Ghost even more lethal in combat. Of course, as in real life, finding valuable goods won’t be as easy as stepping over them. Additional weapon attachments are often located inside enemy camps under heavy surveillance, and the only way to find their exact location is interrogating cartel members or infiltrating the area to investigate. Also, picking up weapons from fallen enemies will be useful in a desperate moment, but if you really want to build and customize an impressive arsenal, you will have to raid some of the most dangerous places of Bolivia, such as the region of Espiritu Santo. That’s where you will find the best weapons and attachments. In addition to the weapon upgrades, the Ghosts will have more than 40 skills available for unlocking, so choose the ones you enjoy the most. Every enemy marking, every kill and every mission completed will reward you with valuable experience for your Ghost, unlocking advanced options in the upgrade menu. But rewards don’t come out from thin air – you will need to acquire four kinds of resources such as food, gasoline, medication, and communication tools to build the tech. Players will have to find them around the map and invest in advanced upgrades. Resources are normally available around areas of interest, enemy camps, and towns, so exploring the map of Bolivia always has a reward. However, if you want a huge payday, you can also set up an ambush for one of Santa Blanca’s convoys, but be prepared for a tough fight against the guards protecting the vehicles. There are plenty of skills that can adapt to your playstyle. For example, if you want some serious firepower to blow up an enemy outpost, the grenade launcher attachment for assault rifles would be the upgrade you need. If you prefer using the helicopter to jump from high altitude and silently drop behind enemy lines, investing in the parachute would be the perfect move. If you also enjoy creating mayhem from afar to distract the enemies, add the explosive upgrade to your drone. The character evolution also affects the relationship of the Ghosts with the Kataris 26 rebels. Complete particular activities for them and you will gain their trust, increasing their support options and the frequency you can call on them for backup. The rebels will greatly expand your tactical options in combat. Among other things, they can act as guns for hire for the toughest firefights, can create distractions, drop vehicles, and even call for mortar strikes. It would be wise to create allies of them from time to time. In the end, the decisions are up to you. 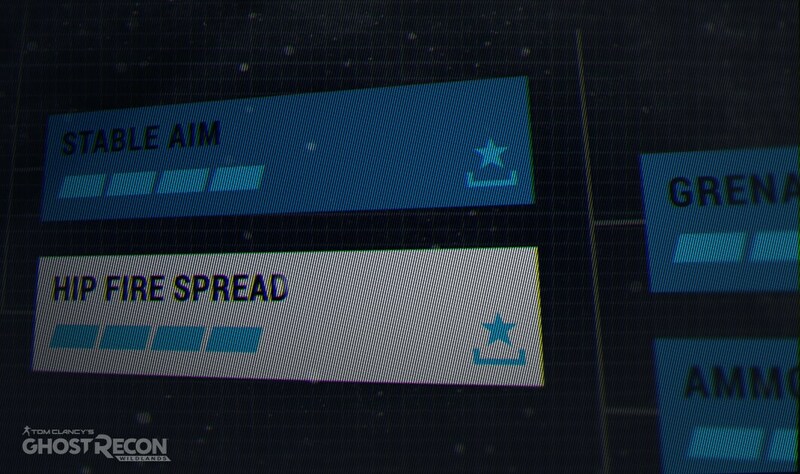 Keep completing missions and exploring the map as you evolve and make your team unstoppable. 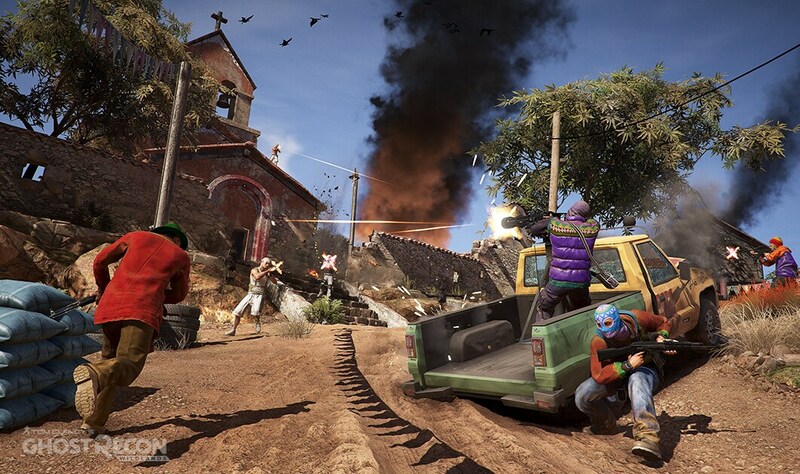 The Santa Blanca Cartel will soon learn to fear the Ghosts.